Of course it isn’t new - it is quite as ancient as everywhere else; it is new to us and we are new to it. As Ant Clifford pointed out, pedantry is a specialism. North Tyneside, for those outside Britain, is further north than you might think. 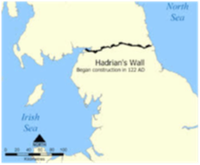 Hadrian’s wall finishes at Segedunum Fort, which is about 2km from our house to the south. The area is well supplied with public transport, locally called the metro [“Met-re-ugh”, “Met-roh”], which is a combined service of buses and trains (which may technically be trams). 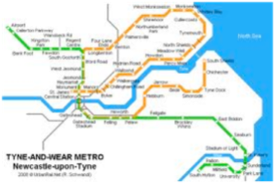 I include a diagram of the overground system, separate from British rail and the bus systems. I thought Cornwall had a lot of wind farms. I found a map showing such things in the North East. Go visit windbyte.co.uk. westernmorningnews.co.uk provided the comparison. Of course Cornwall is famous (internally, at least) for having no power station (they mean coal, gas or nuclear), so I add somewhere here a map showing in solid red the ideal locations for steady wind supply. I foresee a use for has-been oil platforms, not merely as housing (ideas: any separatist movement from criminal to religious, secular to technical, even those merely wanting to be left alone). 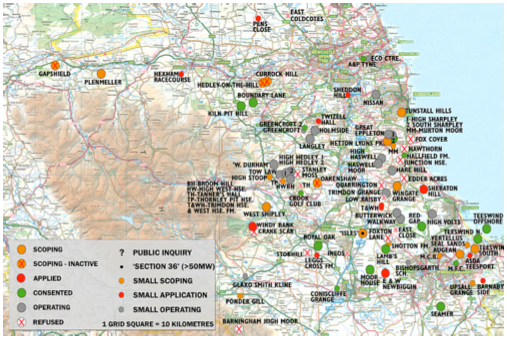 To see the green spaces, go here which should open in a new window. 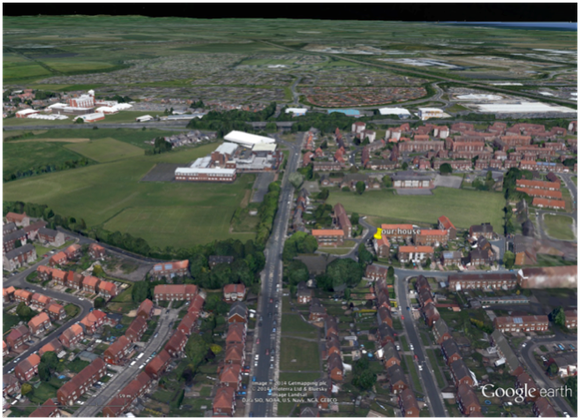 or look at the Google Earth map view included here. 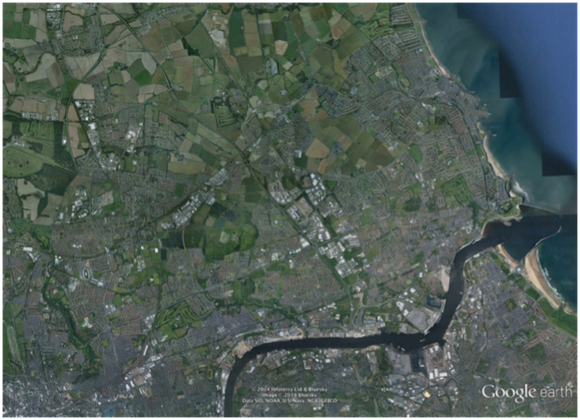 You can see the mouth of the river, North and South Shields; central Newcastle is bottom left. The straight dark line not quite east-west is that of the metro, which you can follow round and match with the loop shown above; that straight line is very nearly the same as the Wall. Between the two is a lighter line, the Coast Road (to the coast, not along it), and that passes through a patch of white roofs with another major road perpendicular - this is the A19 through a tunnel under the Tyne; our estate is in the southern corner of that junction. However, the reason for showing the picture in this form is to encourage you to see the green. The patchwork is because crops look different from grass. I am surprised at the number of horses - the racecourse is 2/3 up the left edge and the airport due west of that by a third of this picture. A surprisingly high proportion of the buildings are rendered in 3D on Google Earth and, if you haven’t played with the feature, if you zoom in enough, you’re switched to street view. A little yellow pin marks our terrace of four houses. I picked a view facing NNW so as to show the major road junction, the three adjacent schools (primary, secondary, tertiary from right to left) and the large bright roofs of the medium-scale retail nearby. 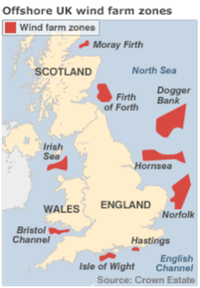 Mainland Britain runs between 50º and 59º north and straddles the datum line, so where we now live is 55ºN 1.5ºW. there is only one small part of China north of 51º, that little bit of Heilongjiang that pokes into Russia on the Amur river at 53º34’, equivalent to Manchester. Only a lot colder. 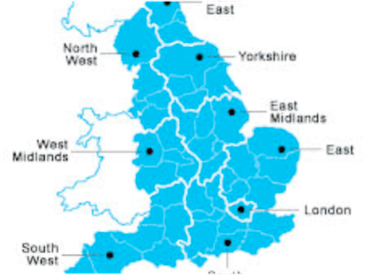 So absolutely ALL of China is south of Manchester and almost all of China is south of ALL of Britain. in Europe, all of Belarus is north of 51º but south of 55º. The only place you might think of as clement and similarly far north is the coast in middle of British Columbia, but 51º is still north of Vancouver Island. the mid-line for the Canadian provinces from BC to Manitoba¹; the midline of Labrador. 55º passes south of Greenland, whose southern tip matches that of Shetland. I write all this to point out the fantastic effect that the North Atlantic Drift² has upon Britain and Ireland. Even allowing for coastal effects, you would otherwise expect the weather to equate with places like northern Newfoundland, northern British Columbia, the Aleutians and Kamchatka. If, as a race, we screw up the planet enough to move that ocean current, the productive part of Europe would largely be removed from the world economy. ¹ That would be the midline between 49º and 60º, which mark on the south a lot of the US/Canada border and on the north the definition of the Northwest Territories; 55.5º. ² What was called the Gulf Stream when I was at school. Without the warm North Atlantic Drift, the UK and other places in Europe would be as cold as Canada, at the same latitude. For example, without this steady stream of warmth the British Isles winters are estimated to be more than 5 °C cooler, bringing the average December temperature in London to about 2°C. Quote from here, which continues: Some 11,000 years ago the NADW shut down in response to subtle shifts in global climate. 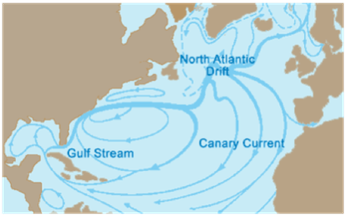 This slowed and diverted the course of the Gulf Stream to such an extent that the regional climate of the Northeast Atlantic became considerably cooler. As a result Northwestern Europe dropped back to ice age conditions within tens of years. It is now suspected that global warming may trigger a shutdown in the NADW, and a slowing or diversion of the Gulf Stream, which would ironically lead to colder climates throughout the UK and Northwest Europe.